Casino Well - Let's bet! 49 minutes: Majeed Waris wins the ball kind Joe Gomes in midfield, takes it beyond Adam Lallana and unleashes a shot – the first on target on the match – which brings a smart save from Loris Karius. Porto cannot capitalize on the ensuing corner. 47 minutes: Moreno and Lallana combine down the left flank, with the left-handed the ball low and hard to get James Milner. He goes to earth and is not able to steer his shot on goal. An excellent chance goes begging. 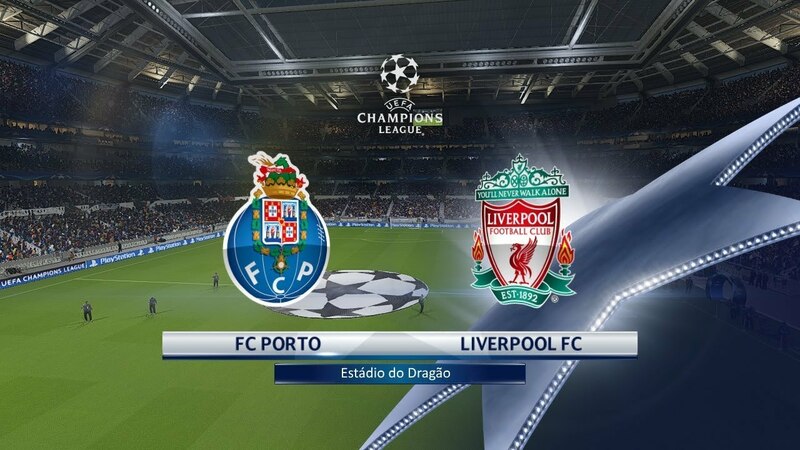 46 minutes: OK, so today Porto have got the ball rolling – I might have jumped the gun with that previous post. Iker Casillas got a very warm round of applause from Liverpool’s fans as he made his way to the goal he will be defending in this second half, which he confessed graciously. 46 minutes: Porto get the ball rolling in the second half and reports from Paris, where it is also scoreless between PSG and Real Madrid, suggest their game is not much more entertaining than this one. There’s no additional time and the player’s troop off in the break. Sadio Mane has had the best chance of the match up to now, hitting the foot of the article with an attempt within the penalty area. 43 minutes: Alberto Moreno picks up a pass from Emre Can down from the corner, cuts inside through the Porto penalty area and goes down theatrically under a “challenge” from Max Perreira. He appeals for a penalty but does not get one. Replays suggest he was not touched and was trying to pull the referee. 39 minutes: The camera cuts to Jurgen Klopp, who’s standing on the touchline with his hands in his pockets, with an expression on his face that suggests he has just smelt something particularly unpleasant but is too polite to say anything about it. 35 minutes: Roberto Firmino picks up a nice pass from Jame Milner and attempts to play Sadio Mane in behind with a neat dink. The Senegalese mistimes his conduct and is flagged for offside. It is a shame, really, as it was a neat, quick passing move. 34 minutes: Andre Andre is booked for a foul on someone or other and Liverpool have a free-kick halfway within the Porto half, close to the left touchline. James Milner arcs at a delivery, which Dejan Lovren joins with but heads to the roof of the target. We’ll have a live report from Anfield as soon. I am guessing Andy Hunter is sucking on his pencil in the press-room in Anfield, trying to think of 800 words to write about that game. As you’re waiting for this report, why don’t you browse this depressing story about the venal, grasping, petty and spiteful property investment fund that’s not merely evicting my favorite local non-League soccer team from their own ground, but forbidding them from using their own name? 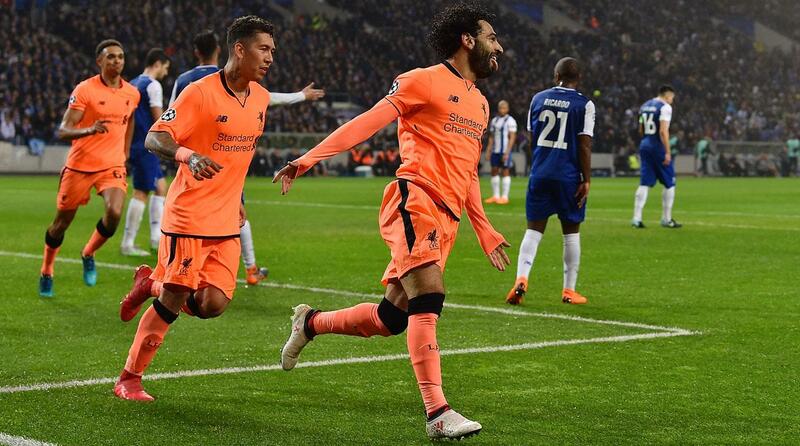 It has finished scoreless on the night, but Liverpool progress to the quarter-finals courtesy of the 5-0 first leg win in Porto. 90+1 minutes: Meanwhile in Paris, Real Madrid are 2-1 up at the evening and 5-2 up on aggregate against 10-man PSG, who’ve lost Marco Verratti into a red card. Unai Emery will most likely lose his job on the back of the defeat, if not immediately then almost certainly in the summer. 90 minutes: Jordan Henderson is penalized for a push on Sergio Oliveira. 89 minutes: Danny Ings is denied by a fine Iker Casillas save, the goalkeeper jump high to claw a strong, goal-bound header behind for a corner after becoming caught slightly off his line. 86 minutes: A Porto free-kick is deflected into the path of midfielder Oliver Torres, who attempts to fire home from about eight yards. 84 minutes: Hats off to Porto’s traveling fans, who’ve been bouncing up and down, singing nonstop for every single minute of the match. Without them, the air at this fairly uninspiring game could be pancake flat. 83 minutes: Porto win a corner after a Sergio Oliveira shot from space brings a smart save from Loris Karius. 82 minutes: Mo Salah unleashes a shot on target after running on to a pass from deep. He does not trouble Casillas unduly with his low, diagonal effort from a tight angle. The goalkeeper gets down fast to save. 78 minutes: Meanwhile in Paris, Edinson Cavani has pulled a goal back for PSG. It is 1-1 at the night, but Real Madrid 4-2 PSG on aggregate. The largest big-game bottlers of these all are going to go out again. 76 minutes: Alberto Moreno sprints on to a loose ball following Olivier Torres plays a reckless cross-field pass across the surface of his own playground. The Spanish left-back shoots on goal, but once again Felipe is available to block and take the bite out of a shot which loops to the waiting arms of Iker Casillas. 75 minutes: Great play from Liverpool, with Jordan Henderson arrowing a cross to the far post and Alberto Moreno getting in behind Max Perreira to maneuver the ball back in the mixer from the byline. Porto clear. 73 minutes: A game that has been a foregone conclusion before it started is currently being played little more than a walking pace as the players on either side go through the motions.